Chigger Films Art Series - Interview with Central Florida landscape/portrait oil painter Blair Updike. 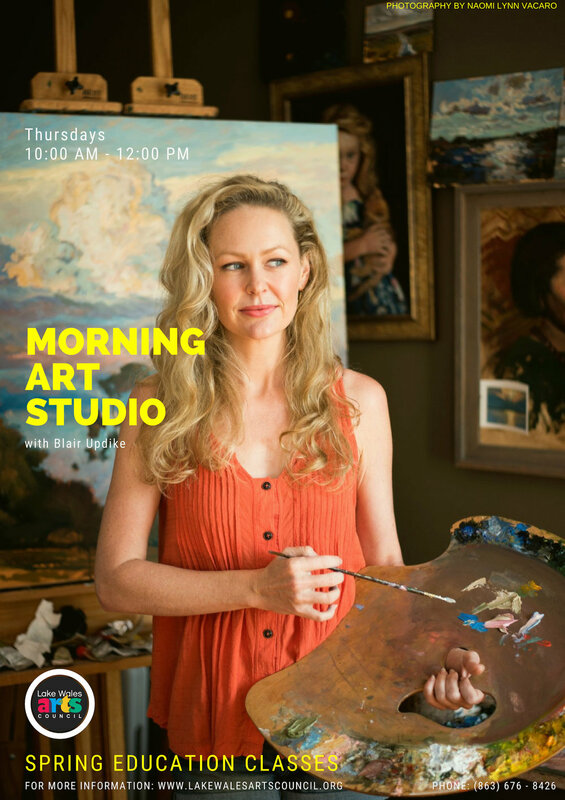 The Lake Wales Arts Center is proud to announce the NEW Morning Art Studio class with renowned painter Blair Updike. This program will take place every Thursday from 10:00 AM - 12:00 PM and is primarily for artists (intermediate - advanced) who are looking for studio time with a world-class moderator. Classes begin on 1/14/2019 and enrollment closes on 1/18/2019. Semester and monthly payments are available for ALL LWAC classes (Contact The Lake Wales Arts Center for more information: (863) 676-8426). Special discounts are available for enrollment in more than one class. Scholarships are also available for K-12 Students! Her portraits portray the interesting stories and personalities of subjects who are frequently off-beat and non-conformist characters. But Blair’s landscapes are more likely to reflect stillness, peace and solitude. Blair has the aspect of an innocent Danish schoolgirl but she’s the one who’s more likely to ask “why,” rather than “how.” Her personality blends tradition with rebellion and she can be alternately bashful and feisty. She admires genuineness and dislikes pretension. Though formally trained, Blair’s been painting professionally less than two years. She idolizes portrait artist David Leffel called the “modern Rembrandt” with whom she was recently privileged to study.